GOT your smartphone handy? Good. You'll need it for this review to make sense. Go to YouTube and type in "Maserati Intouchables Best Part". Watch the first 45 seconds of this clip from the 2011 French film The Intouchables and you'll understand the unbridled joy you get from simply revving a 2009 Maserati Quattroporte GTS's 4.7-litre V8 engine. Oh, that sound. As actor Omar Sy stomps on the throttle his open-mouthed delight is Oscar-worthy alone, no doubt because it was genuine glee, no acting required. 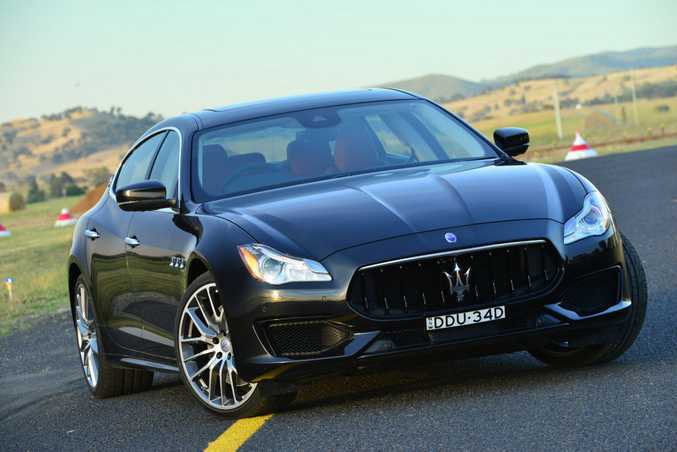 The car from that movie has been succeeded by the sleeker seventh generation Quattroporte (a simple but beautiful Italian way of saying "four doors"), and this flagship Maserati sedan is perhaps more elegantly imposing than ever, not least with some choice updates for the 2017 model year. 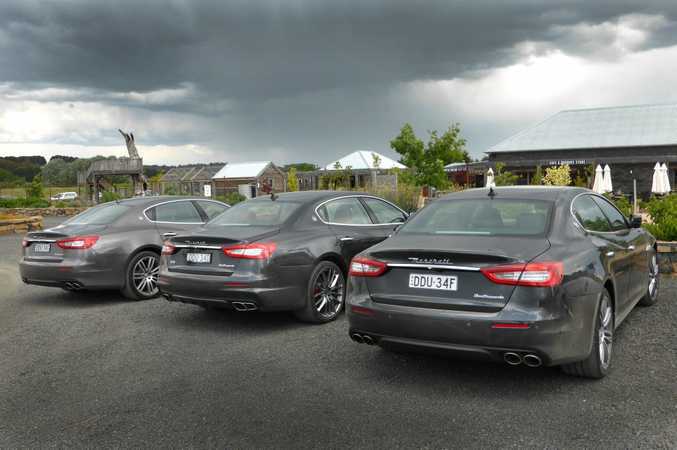 I got to live out my own little slice of Intouchables-esque delight on roads in and around Bathurst, steering the updated 257kW V6 and 390kW V8 versions of the 5.2-metre long QP. You can also choose a 301kW version of the V6 petrol, or an entry-level $210,000 202kW V6 turbo diesel should you wish. 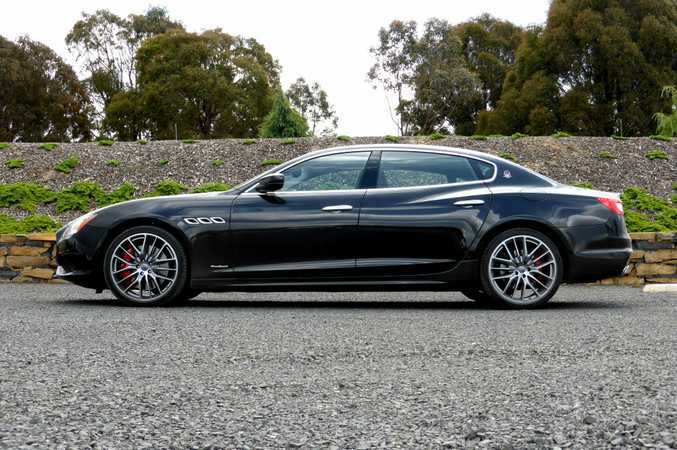 But really, Maserati has only shifted 53 QPs in Australia this year so far, so let's just focus on the proper one, the GTS. A ballistic $350,000 palace with twin-turbo 3.8-litre V8 and a 0-100kmh time of just 4.7 seconds. First, those new bits. All 2017 QPs score a new front grille inspired by the achingly pretty Maserati Alfieri concept, there are revisions to front grille vents, the splitter and side skirts, while a new air shutter system in the grille opens in heavy traffic for example, but closes when not needed to cut the car's drag by 10%, helping its slipperiness and fuel economy. There's a decent power hike for the V6 engine (not the V8 though...390kW is perhaps plenty), a new gearbox map offers a more aggressive shift pattern in Sport mode and suspension settings have been revised. New sound deadening and improved insulation also cuts cabin noise too. 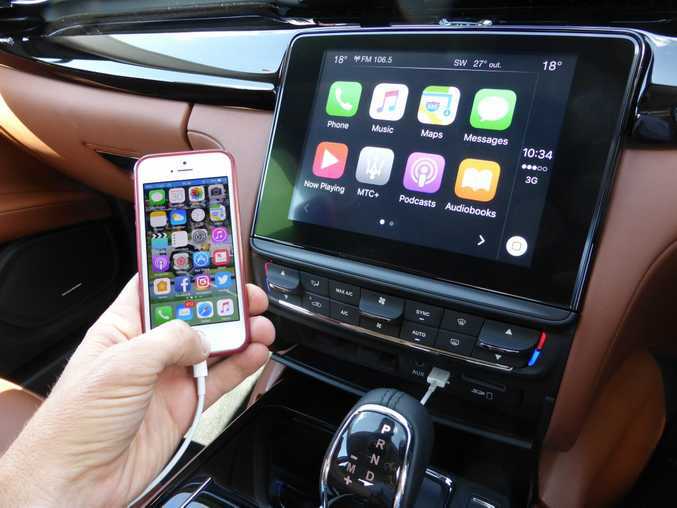 The interior is as luxurious as ever, but has a much-improved redesigned centre console with 8.4-inch touchscreen and on-trend Apple CarPlay and Android Auto smartphone mirroring. 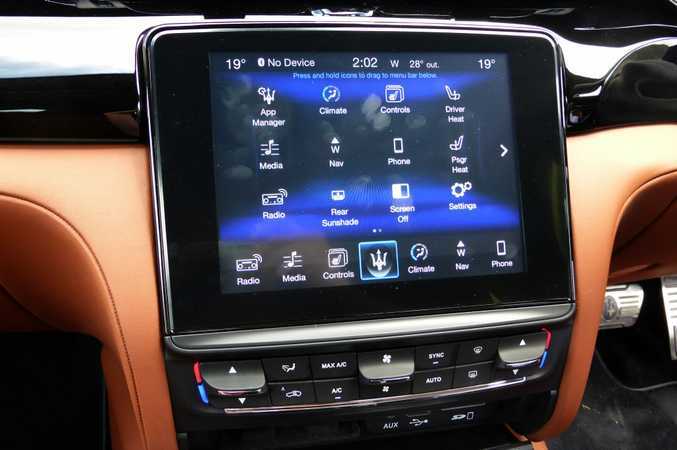 Also dragging the big Maserati into 2017 are a raft of standard driver safety systems included such as lane departure warning, autonomous emergency braking and adaptive cruise control. And what's your flavour of Maserati? Luxury or Sport? 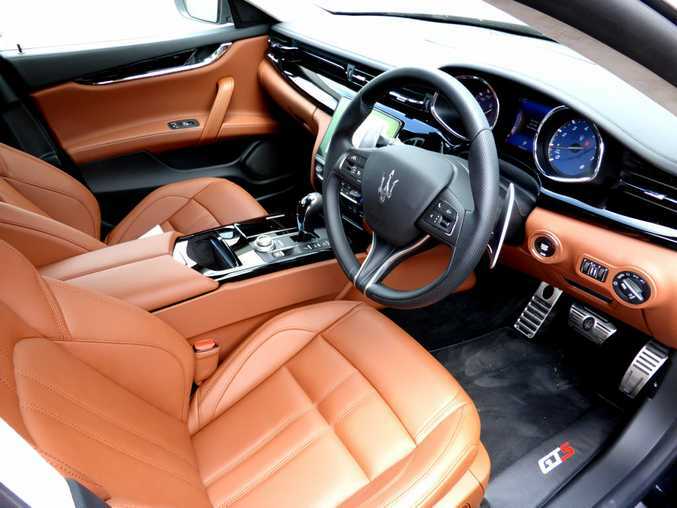 You can option a GranLusso or GranSport trim, the former offering more muted body styling and cabin treats such as silk fabric trim, open pore Radica wood on the dashboard and heated seats front and back. My test car was the QP GTS GranSport with shoutier exterior parts including a more aggressive front grille, piano black rear spoiler, 21-inch wheels and painted red brake calipers. 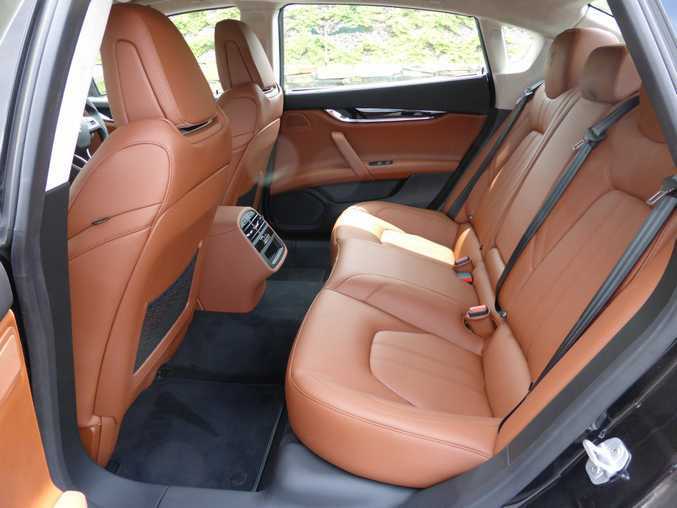 Inside, there were electric sport seats, sporty steering wheel in leather and carbon fibre, Alcantara headlining and stainless steel sports pedals. But fear not, the required classiness still remains in this cabin where soft-touch leather abounds and garishness is blessedly absent. You feel very special sitting in the 12-way adjustable electric driver's chair: there's just something about that evocative Maserati badge on the steering wheel. It's a huge cabin space up front, bettered only perhaps by the acres of room found in the rear chairs should you prefer the chauffeur to do the high-speed steering. But really, controlling the GTS' twin-turbo isn't to be missed. I ignore the fact the doors don't soft-close as I'd expect of this flagship sedan, and squeeze the start button. Eh? Not much at all. Yes there's a burbling V8 somewhere, but so well insulated is this thing it barely makes a murmur. This being the GranSport I'd expect a bit more aural excitement in the cabin - let's hear those oversized cylinders - and wonder why Maserati doesn't fit an "active exhaust" button the likes Jaguar and AMG do so well. Putting the QP in Sport mode ups the noise a tad, but not as much as I'd demand. 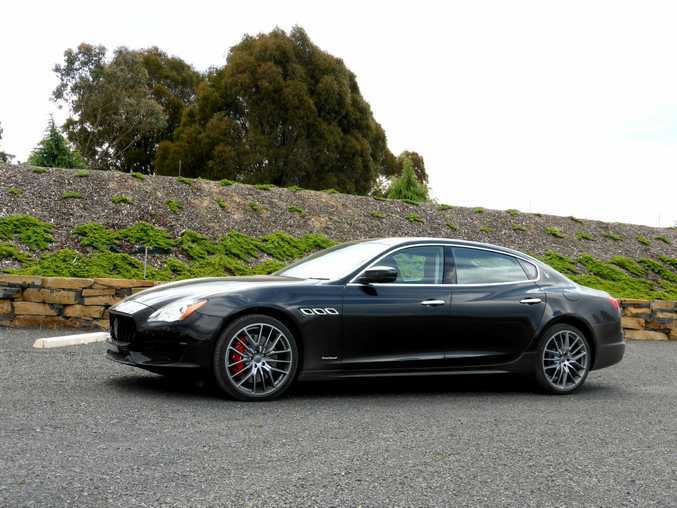 But then again, maybe I'm not your typical Maserati QP buyer. So, much like in The Intouchables, the most joy comes from windows down to get a proper listen to that Ferrari-developed V8. And yes, just like the movie, I revved the 3.8-litre as eagerly as a child blows a new toy trumpet, ensuring the world could hear. Simple, albeit expensive, pleasures. Over some rather shoddily surfaced roads around Bathurst the GTS did show its class: leave it in Comfort mode and it wafts along effortlessly swallowing up those lumps and bumps. As the bulk of any journeys will be such, Maserati has nailed this core aspect. Sport mode stiffens the suspension and quickens throttle response and gear changes, and combined with the 390kW on tap it makes for a riveting thing to throw around, the 1900kg sedan hiding its weight and considerable size surprisingly well. Push it too hard in the turns and there's inevitable understeer, but even with driver aids on, it's refreshing to see how Maserati keeps the rear end playful, it not afraid to waggle its bum a tad out of corners when you stand on the throttle. Look, it's not a sharp tool per se - steering feedback feels inconsistent at speed with some unwelcome shudders - but when you're done with grand touring, it's satisfying to know this boosted GTS is a very willing playmate should you want to blow off the cobwebs. Windows down, you barely need half throttle to surge towards the horizon as the stonking V8 gets drinking (18L/100km we averaged) and gives almighty urge through the rear wheels. 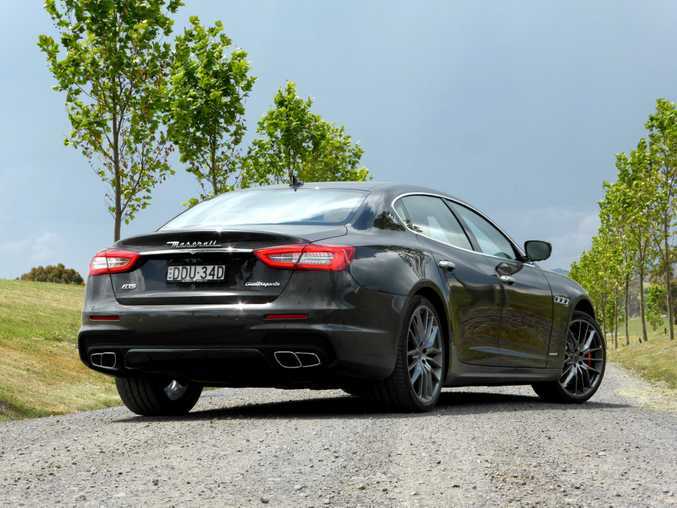 Expensive, gorgeous, luxury packed and just a tiny bit flawed: The Quattroporte GTS is exactly as a Maserati should be. 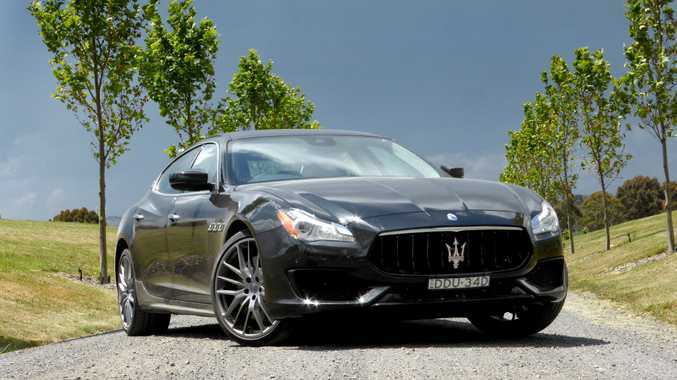 Model: 2017 Maserati Quattroporte GTS GranSport. Details: Four-door rear-wheel drive sports luxury large sedan. 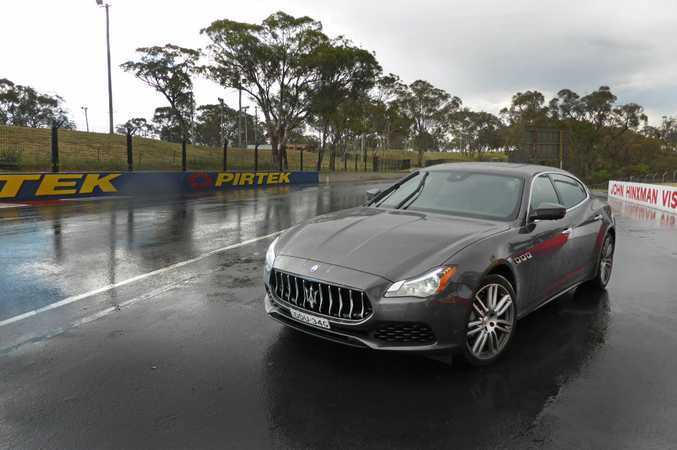 Engines: 3.8-litre twin-turbo V8 with 390kW @ 680rpm and 650Nm @ 2000rpm. Bottom line: From $345,990 before on-road costs.